Mirroring the enchantingnaturalbeauty, lakes reflect the splendour of any destination’s magic. From playful ripples to enamouring ambiance, lakes in India include a rich diversity, revealing different contours and landscapes. 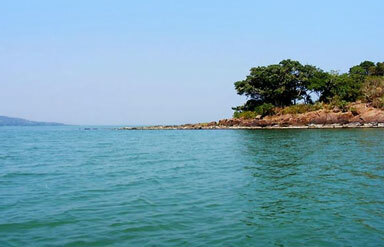 Thousands of foreign tourists are attracted by the beauty Chilika Lake in Odisha. Embroidering the Khurda, Ganjam and Puri districts of Odisha, this lake is nestled at the mouth of Daya River and eventually flows into the Bay of Bengal. The Ramsar Convention of 1971 has included it in the list of wetlands in India. It is acknowledged for its rich bio-diversity, presence of Irrawaddy dolphins and wintering ground for migratory birds. Bird watchers must travel to Chilika Lake to spot innumerable migratory birds flying from South-East Asia, Russia, Himalaya and even Caspian Sea. It is one of the largest breeding colonies of flamingos. Birds like White-bellied sea eagle, Greylag goose, Brahminy ducks, and Indian roller and White Ibis are the common visitors. Interestingly, history of Chilika Lake is still debatable. Few ancient travelogues of Chinese travellers like Fa Hien and Hiuen Tsang reveal that it was a major trading centre with South-East Asia. Do not miss to watch the playful Irrawaddy dolphins gracefully synchronising their movements with each other. Click the moment and preserve it as a souvenir! 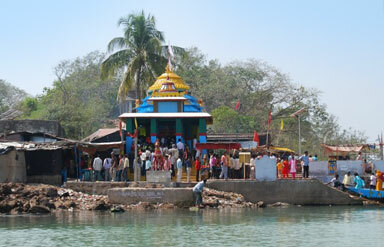 Located on one of the six islands in Chilika Lake, this temple is dedicated to Goddess Kalijai (Goddess Kali). The island is also a religious destination for pilgrims as well as tourists and can be accessed through a boat. Makar Sankranti Festival is celebrated with full fervour in the temple, attracting numerous travellers and devotees. Nalabana Island which means ‘weed covered island’ is a home to thousands of migratory and resident birds, making it Nalabana Bird Sanctuary. Spot the long-legged species like herons, storks and flamingos foraging in the shallow waters near the island. Photo-fanatics will love to take snaps of small birds resting on twigs as well as geese and brahminy ducks bobbing on the water. Lighting fire is strictly prohibited. The lake is famous for sheltering a large population of Irrawaddy Dolphins. Chilika Lake is the only ecosystem in India where these dolphins can be spotted. Do opt for a boat cruise early in the morning to watch these playful dolphins, included in the extremely endangered criteria. One can also spot Bottlenose Dolphins in Chilika Lake, which are, presumably quite afraid of Irrawaddy Dolphins. This is a beautiful island named after the famous bird ‘Rajahamsa’. It is fringed by the shimmering water of the lake on one side and Bay of Bengal on other side. It is one of the few serene islands sheltering birds, dolphins and other aquatic lives. Narayani Temple (10km), Banapur (13km), Puri(37km) Gopalpur-on-sea(75km) and Taptapani (130km) are some of the popular nearby escapes to explore. When to Reach: October-June is the best time to visit as you can spot a variety of migratory birds from far off destinations. Air: The nearest airport is in Bhubaneswar, about 120km away from the lake. Rail: Chilika Station receives trains from almost every important city in the country. Road: Buses, cabs and taxis can be taken to reach the destination. 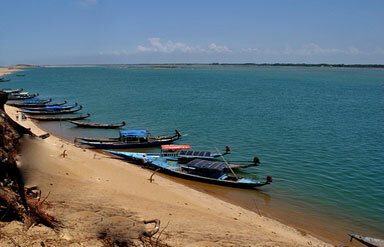 In a nutshell, the Tour to Chilika Lake will leave you satiated, yet wanting for more. So, why wait? 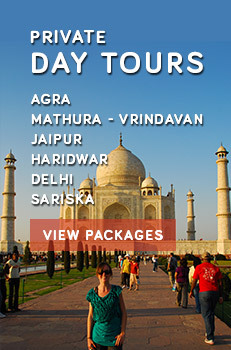 Head for this unique holiday destination today!